This weekend I had “Christmas” with most of my family as my brother goes to Florida for Christmas with his in-laws. We bought my nieces and nephews who are ages 8 and under some of the toys we grew up playing. I noticed that these games are often very simplistic. What does this have to do with podcasting? Becuase sometimes we make things harder than they need to be. Darryl hosts the Full Circle Podcast and helped launch National Podcast Power conference. Daryl has met actors, authors, politicians, YouTube Stars and more. If you want to get doors opened, start a podcast today. I spent the weekend playing with my great-nieces and nephew. We brought out some classc board games. My entire family ended up playing this game by the end of the day. What makes it a great game is that it is easy to learn and the action is fast and furious. The tops come out the gate very fast and often one or two of the tops go flying out of the arena. 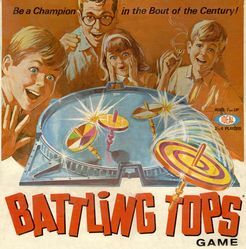 You pull a “string” (now a plastic tie with teeth) and the tops go into what amounts to a bowl and bounce off each other. The last one in the bowl spinning wins. Simple. This is another game that takes very little skill, and you get to the action fairly quickly. It takes some thought and strategy. I love helping people understand the best path to get to your podcast going in the right direction. There are times when people ask a question and they expect a simple answer, but the absolute truth about podcasting is there are very few absolute truths. The other thing I want to talk about today is letting your personality shine. So many people make podcasting harder than it is. Don't get me wrong there is still a learning curve, but some time we make the curve much higher than it needs to be. I do a show called “Ask the Podcast Coach” and at one point I had a cohost located in another state, a phone line coming in (with a screen where I could put people on hold and see my callers), and I had a chat room. I streamed it live on Google Hangouts (now YouTube live), as well as mixlr.com and spreaker.com When I started the show I needed eight arms to start everything. My co-host and I Jim Collison (from theaverageguy.tv) noticed that most of our questions come in via chat. We still offer the ability to join the Google Hangout, but I would say 98% of our questions come in via chat. We also stream the show via Google Hangout and based on audience feedback, only stream via mixlr.com (for those who want an audio only). So what equipment does Cale Use? Did he spend thousands of dollars? He is using an ATR2100 Microphone, Yamaha MG12XU Mixer, Zoom H2n Digital Recorder. Record Locally to Zoom, then Edit in Audacity. [13:44] Bernie from the Bernie the Cat Show stops by to wish everyone Happy Holidays. [20:28] Libsyn.com launched a new stats interface that works on your phone. The backend of the stats system now provides IAB compliant (once the IAB launches their certification) stats. Get a free month of Service at Libsyn.com or Blubrry.com using the coupon code sopfree. February 8 -10 Orlando Florida Podfest.us I will be speaking on AI and Podcasting and I will be Roasted. What Podcast is the Easiest Show To Create? 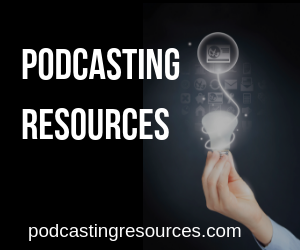 There are a number of formats you can choose from when creating a podcast. Looking at the above list, one might think a solo show would be the easiest. Why? No scheduling conflicts, no arguments over the direction of the show. You have total control. So what is the problem? You need to be comfortable talking to the wall. It takes a little confidence to pull this off. Michael Hyatt is one of my favorite authors. I read his book Platform every January to kick of my year. Michael has publicly stated that he is not comfortable doing a solo show. So then doing a show with a co-host is easier? This sounds true up front. You don't have to do all the work, and there is another person to help promote the show. But you now have the occasional challenge of scheduling conflicts. The more people you have, the harder it is to get everyone together. The solution is to pick a time when everyone knows you will be recording and make a commitment to that time. This is easier said than done, especially when multiple time zones are included, and multiple life configurations are included (kids, jobs, etc). I think we all grew up listening to radio shows who take phone calls and we want to recreate that scenario. So how do you take phone calls. The answer? It depends. If you are doing a solo show, you can get a Google Voice Number or a Toll-Free Number at Podcastvoicemail.com and plug the phone into a mixer using your headphone jack. Then you can talk into your microphone that goes into the mixer, you plug the phone into the mixer, and send the mix of you and the phone out to a service like Mixlr.com Send the same output into a portable recorder like a Zoom H1. But what if you have a co-host? What if you want a phone screener? Then things get way more complicated including two mix-minus setups that I won't even attempt to explain it here (it would be something we could do some consulting on). I bought myself a new 55″ TV for Christmas. I brought it home, and went to put it on my old TV stand, and it was too big. I had to buy a bigger stand. Then I went to plug it into my sound bar, and you guessed it. Even though both the TV and the soundbar were from the same company, I needed to go buy a new cable to plug in. Some things you only learn things by doing them. If you want to avoid making the common podcast mistakes when it comes to planning your show, purchasing gear, promoting your show, I urge you to sign up for the School of Podcasting or join the Podcasting in Six Weeks Course which is starting on January 6th.